SAN FRANCISCO (June 26, 2018) – Today, the County of Santa Clara and the City and County of San Francisco filed a lawsuit in the California Supreme Court to invalidate a highly deceptive and unconstitutional ballot initiative sponsored by two former lead paint companies: The Sherwin-Williams Company and ConAgra Grocery Products Company. Through the initiative, the corporations seek to overturn a court judgment under which they will be required to pay hundreds of millions to clean up lead paint that continues to poison thousands of children throughout California each year. The judgment holds them liable for promoting lead paint for decades despite the corporations’ knowledge that use of the paint would result in the lead poisoning of countless young children, causing permanent cognitive impairments and other harmful effects. 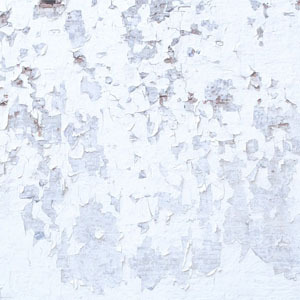 The deceptive initiative attempts to eliminate this judgement, allowing Sherwin-Williams and ConAgra to avoid paying up to $730 million to clean up lead paint, and instead saddle taxpayers with $3.9 billion of bond debt to cover those and other costs. “Sherwin-Williams and ConAgra have intentionally designed this ballot initiative to hoodwink California voters. Not only is this unconscionable initiative a colossal waste of taxpayers’ money, but it is an affront to Californians,” said Ann Miller Ravel, a co-petitioner in the lawsuit who is challenging the Initiative in her individual capacity as a California voter/taxpayer. Ms. Ravel is the former chair of the Federal Elections Commission and the former chair of the California Fair Political Practices Commission. Nothing in the deceptive initiative acknowledges its proposed change to state law that would eliminate manufacturer liability for lead paint. To the minimal extent the initiative references its amendment of public nuisance law, it presents a series of misleading statements and outright falsehoods designed to deceive the voters. The judgment that the initiative attempts to invalidate is People of the State of California v. ConAgra Grocery Products Company (2017) 17 Cal.App.5th 51, a lawsuit that was filed on behalf of the People of the State of California by the Santa Clara County Counsel’s Office, the San Francisco City Attorney’s Office, as well as the County Counsel’s and City Attorney’s Offices for the Counties of Alameda, Los Angeles, Monterey, San Mateo, Solano, and Ventura, and the Cities of Oakland and San Diego. 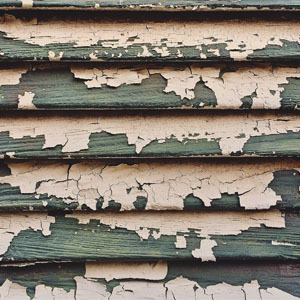 In 2014, the Santa Clara County Superior Court held Sherwin-Williams, ConAgra, and NL Industries liable creating a public nuisance in the ten cities and counties, and ordered them to pay $1.15 billion to abate lead paint in homes in those jurisdictions. That judgment was largely upheld by the California Court of Appeal in 2017. The California Supreme Court denied review on Feb. 14, 2018, and the case returned to the Superior Court to determine the precise amount that defendants must pay to abate lead paint in homes in the ten cities and counties that prosecuted the case, and to identify a receiver to administer the lead abatement funds. More information about the initiative and the longstanding litigation against Sherwin-Williams and ConAgra can be found at: www.sccgov.org/leadpaint. The case filed today by the County of Santa Clara, the City and County of San Francisco, Miguel Márquez, Ann Miller Ravel, and Dr. Jeffrey V. Smith is County of Santa Clara, et al. v. Padilla, et al. Mr. Márquez, the County of Santa Clara’s Chief Operating Officer, and Dr. Smith, the County of Santa Clara’s County Executive, are named as co-petitioners in their individual capacities as California voters/taxpayers. The County Counsel serves as legal counsel to the County, its Board of Supervisors and elected officials, every County department and agency, and the County’s boards and commissions. With a staff of 170 employees, including 85 attorneys, the Office of the County Counsel is also responsible for all civil litigation involving the County and its officers. Through its Social Justice and Impact Litigation Section, the Office litigates high-impact cases, drafts innovative local ordinances, and develops policies and programs to advance social and economic justice. The County of Santa Clara government serves a diverse, multi-cultural population of 1.9 million residents in Santa Clara County, the fifth largest county in California. With a $7 billion budget, more than 70 agencies/departments and 20,000 employees, the County of Santa Clara plans for the needs of a dynamic community, offers quality services, and promotes a healthy, safe and prosperous community for all. The County provides essential services including public health and environmental protection, medical services through Santa Clara Valley Medical Center, child and adult protection services, homelessness prevention and solutions, roads, parks, libraries, emergency response to disasters, protection of minority communities and those under threat, access to a fair criminal justice system, and scores of other services, particularly for those members of our community in the greatest need. The office’s mission is to provide the highest quality legal services to the elected officials and nearly 100 departments, boards and commissions that comprise the City and County of San Francisco’s local government. San Francisco is the only combined city-county in California. The San Francisco City Attorney performs the duties of both a city attorney and county counsel. The City Attorney’s Office represents the City and County in all legal proceedings; provides advice and written opinions to city officials; and evaluates all claims made against San Francisco. State law additionally empowers San Francisco’s City Attorney to pursue civil causes of action on behalf of the People of the State of California to protect consumers and to abate unfair and unlawful business practices.